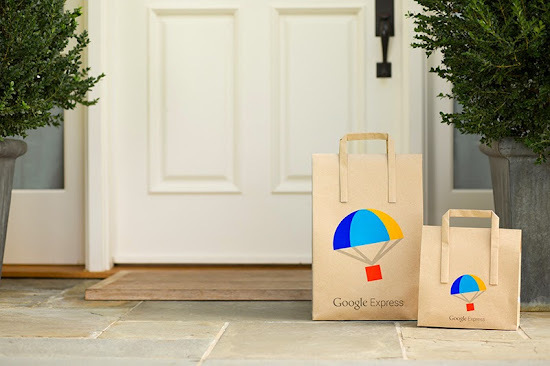 With more cities, more merchants, and more of your favorite items, Google Express is on its way toward making your life easier by helping you get even more errands out of the way. We hope to give you more free time—and we can’t wait to hear about all the things you do with it. *Free delivery means no shipping & service fees. Same day or overnight depends on availability of delivery windows. Eligible orders are $15+ before taxes/fees in select delivery areas and exclude restricted items. Service fees apply to ineligible orders. Pricing may change. Requires active membership subject to terms & conditions. One year ago, the first Google Shopping Express order was delivered—a box of granola. Our idea was to make shopping your favorite local stores as easy and fast as shopping online, and to help you get what you need delivered the same day. Since then, you’ve told us how we helped you restock diapers in the nick of time, made sure you had Bananagrams for family game night, and even made you feel connected to the outside world when you were home sick. Along the way, we've expanded to new locations, brought on more merchants, and offered more products. And now, we’re adding to the program you love. Starting today, we’re expanding to three new cities: Chicago, Boston, and Washington, D.C. Across all our cities, more than 7 million people can now access our same-day delivery service, and in Northern California almost 12 million can use our next-day service. We’re also adding more merchants: 16 in total over the last couple of months. We’ve added national brands including 1-800-Flowers, Barnes & Noble, Nine West, PetSmart, Vitamin Shoppe and Sports Authority, and regional merchants such as Paragon Sports in New York and Vicente Foods in Los Angeles. In our new markets, we’ve added regional brands including Stop & Shop in Boston; Giant Food in D.C.; and Lux Roses, TigerDirect, Treasure Island Foods and Wrigleyville Sports in Chicago. Additionally, customers in the Bay Area who are 21 and over can now order alcohol. Cheers (and please drink responsibly)! Membership costs $95/year or $10/month. Or you can choose to pay as you go, at $4.99 per eligible order. Learn more on our Help Center. Either way, we don’t add any hidden markups, so you pay the same price for your stuff on Google Express as you would in-store. New shoppers can try the first three months of membership for free. You can cancel it at any time, so it’s easy to test it out and decide if you like it.